The Essentials of Kayak Touring course is designed to tea ch beginner paddlers to safely and enjoyably kayak on lakes, calm protected ocean environments and other flatwater settings. 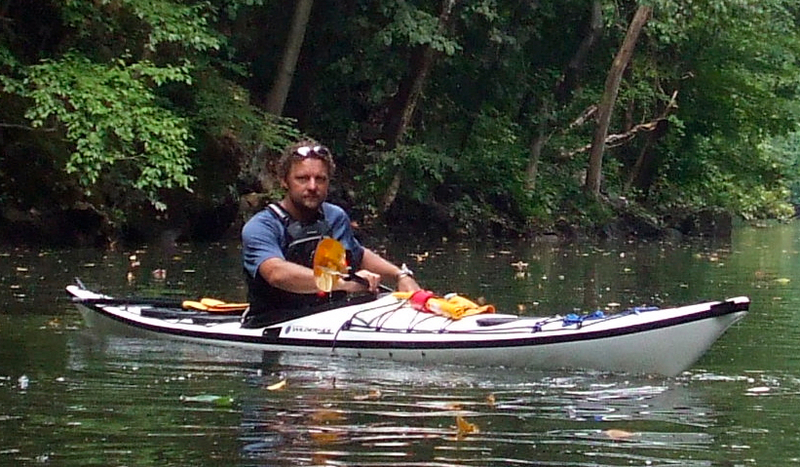 The course is focused on learning to travel safely and efficiently by kayak. There is more emphasis on practicing simple rescues, strokes and maneuvers, understanding tides and currents, the use of a compass and a review of emergency equipment and the basic rules of the road. This Essentials lesson is presented over 6-8 hours, and takes place on local waters of the Roundout Creek and the Hudson River and the location will be announced the day before the course based on local conditions. You will be contacted by Gunter to discuss the location for the lesson. If you are new to kayaking, you may also want to consider our Introduction to Kayaking course.